HRANA News Agency – Mokhtar Asadi’s request for parole was refused. 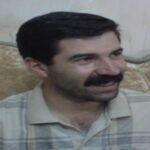 He is a member of the Kurdish Teachers’ Association, who is serving a one-year imprisonment in Evin prison on charges of propaganda against the regime. 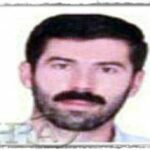 HRANA News Agency – Mokhtar Asadi, member of the Teachers’ Trade Union of Kurdistan who had referred to the Revolutionary Court of Tehran for pursuing his bail was arrested on September 18, 2017. HRANA News Agency – Supreme administrational court abolished the exile verdict of Mokhtar Asadi which was issued by education administration of Kurdistan province. 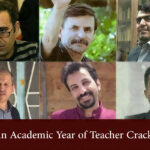 HRANA News Agency – Although the new school year began more than two weeks ago in Iran, Mokhtar Asadi is still forbidden to teach in any schools throughout Kurdistan.Mokhtar Asadi is a member of Teachers’ Union of Kurdistan and a human rights activist. According to a report by Human Rights Activists News Agency (HRANA), the Department of Education in Kurdistan Province has prevented any schools from accepting Mokhtar Asadi’s teaching credentials.As a result, he remains in a state of limbo and suspended indefinitely. The Ministry of Education and the Department of Education in Alburz Province have issued several letters to ask the officials in Kurdistan to allow Mokhtar Asadi to teach in Sanandaj.Teachers throughout the city of Sanandaj have signed a petition demanding to restore Mokhtar Asadi to his teaching post in Sanandaj.The petition has been submitted to the director of Kurdistan’s Department of Education, Khosro Saki, while more signatures are being collected. Mokhtar Asadi holds a Masters degree in Sociology from Tehran University and is a social and human rights activist.In the last few years, he was dismissed from his teaching position for several months and was exiled for years.In 2010, he was arrested and locked up in solitary confinement for months in Rajai-Shahr Prison and then Ward 209 of Evin but was eventually released on bail.